Yes, I know what you are saying, “That was my favorite TV show from the 50s!” Alas, you are incorrect. It’s this week’s Mascot Monday! Big news is right around the corner for the website in general, but before I drop the bomb on y’all I took a little bit of time to doctor up this week’s mascot. 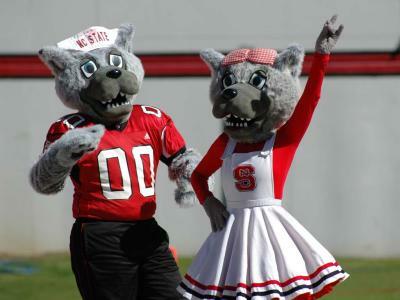 The magic finger poked its away around Wikipedia and it landed on North Carolina State’s Mr. and Mrs. Wuf with the recently introduced Tuffy. Hold on to your vows, we’ll be learning about married life and live wolves.